The merger between Save the Children and Merlin hogged the headlines late last month. But to some, the news didn’t come as a surprise. Over the last few years, several nongovernmental organizations have joined up to broaden their operations — if not survive — in an increasingly competitive aid market. Some international NGOs, in fact, have been vocal about pursuing mergers and acquisitions. One example is ActionAid. But even before the strategy came out, the organization already had a successful merger under its belt. In 2010, Danish nonprofit Mellemfolkeligt Samvirke became part of ActionAid International. Plan International USA similarly sees acquisitions as a strategic measure. 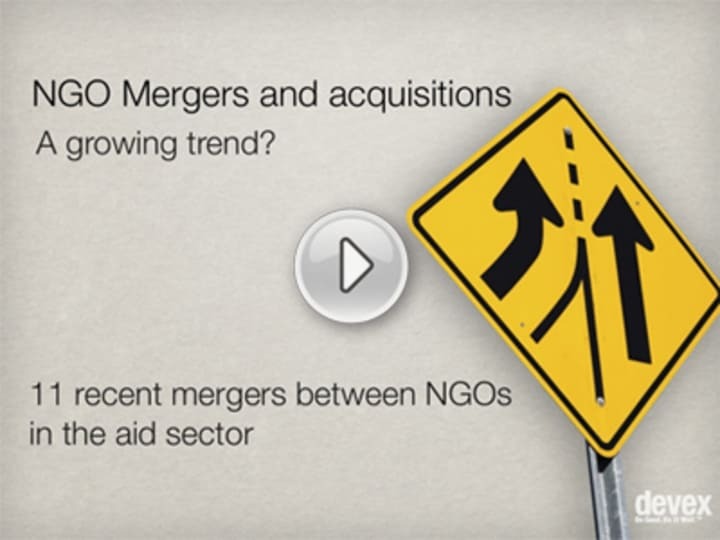 To learn more about recent aid NGO mergers and acquisitions, click the above slideshow. Are you aware of other recent examples of NGO mergers and acquisitions? Let us know by placing your comments below. Are iNGO mergers the wave of the future? A game-changer for Save the Children?